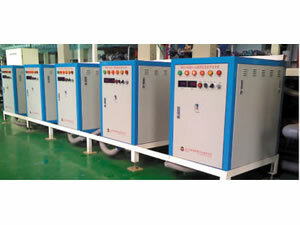 The inverter soft switch electroplating rectifier adopts IGBT high frequency inverter soft switch rectifier technology. 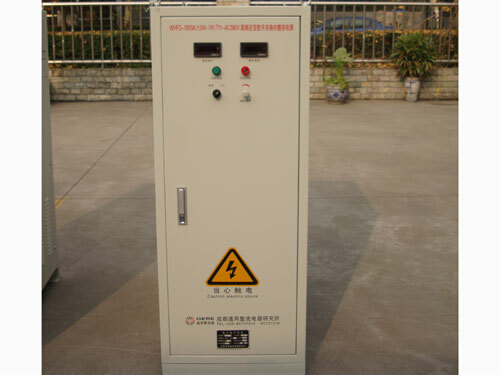 This high frequency plating rectifier is mainly used as all kinds of metal and nonmetal surface electroplating rectifier power supplies (like electroplating zinc, nickel, chrome and titanium, etc). 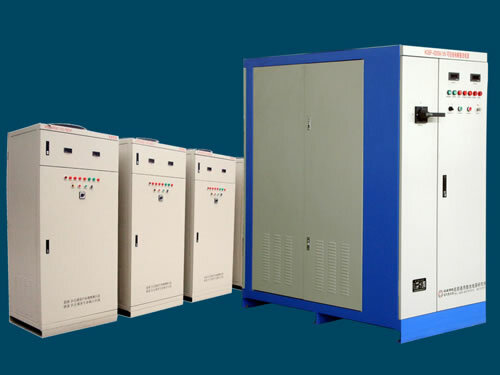 The inverter soft switch electroplating rectifier can also be used as electrolytic rectifier power supply, common anodizing power supply and DC heating power supply, and so on. This high frequency plating rectifier has a special structure using water cooling method. It has obvious energy saving effect. The inverter soft switch electroplating rectifier can provide stable current and voltage, and has soft starting and multiple protection functions. The plated layer has excellent compactness, excellent wear resistance and high rigidity. This high frequency plating rectifier shows excellent process versatility in electroplating production. We use export wooden case to pack inverter soft switch electroplating rectifiers after fumigation treatment. With waterproof, anti collision and good fixation, package will be strong and durable during transportation to stop damage. 1. The inverter soft switch electroplating rectifier is of super small volume and light weight. The volume is 1/5 to 1/8 of SCR, while the weight is 1/20 to 1/40. 2. 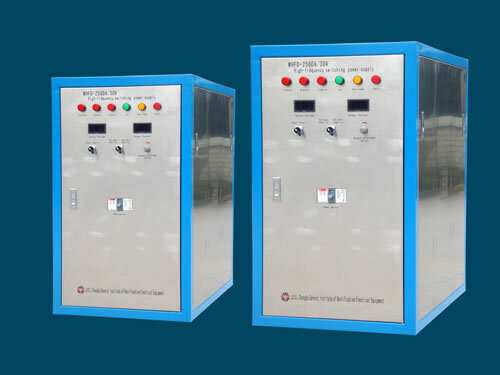 According to customers' requirements, we can provide CAN BUS, PROFIBUS, ETHERNET, RS485 and RS232 fiber communication to realize remote control or monitor high frequency plating rectifiers. 3. 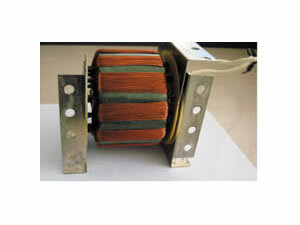 Rectifier transformer's iron core adopts high-quality superfine microcrystalline materials, with no-load loss less than 2% and 4% to 5% energy-saving compared to common switch rectifier transformers. 4. The inverter soft switch electroplating rectifier adopts IGBT inverter soft switch rectifier, saving 5% electricity than common switch rectifier power supplies, 15-25% than SCR. 5. 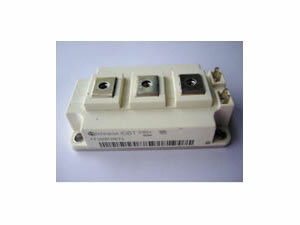 This high frequency plating rectifier provides local and remote operation modes. 6. 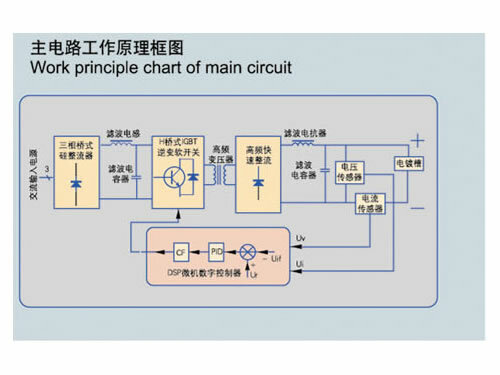 The master controller adopts DSP microcomputer digital PWM control. 7. Delivery time will be 2-8 weeks decided by your technical data. 8. The inverter soft switch electroplating rectifier has several protection functions, such as openphase, overvoltage, under voltage, quick fuse or fuse alarm protections of AC power supply, and output over current and current limiting protections. 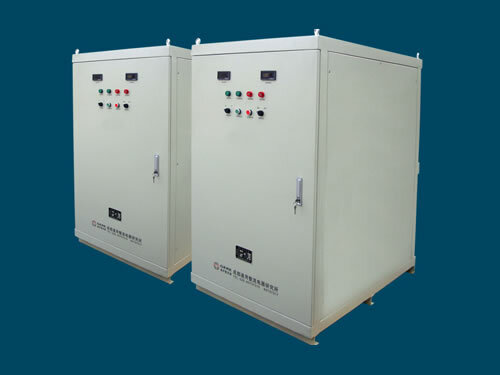 This high frequency plating rectifier also possesses functions of output short circuit and instantaneous overload protections, IGBT RFSM, quick rectifier diode components, switch rectifier transformer and bus copper bar overheat, fan overheating or excess water pressure and low block trigger pulse protections. Chengdu General Rectifier Research Institute is a professional manufacturer and supplier of high frequency inverter soft switch electroplating rectifiers in China. In addition to this high frequency plating rectifier, we also produce silicon controlled and silicon controlled reversing electroplating rectifiers. Our products have been exported to USA, Germany, Australia, Singapore, India, Brazil, Iran, Vietnam, Kazakhstan and Malaysia, etc.